Business leaders often have conflicted feelings about flexible scheduling. On the one hand, it’s an affordable benefit to offer employees, and it can sometimes even save employers money. But it can also pose dilemmas: Employees may want to work non-traditional hours that aren’t ideal for the business. Or they may raise concerns about fairness: Why do some employees receive flexible work arrangements, while others do not? That said, studies show that employees greatly value flexibility in their work arrangement, whether in their scheduling or the ability to work from home. A 2013 survey by CareerBuilder, for example, found that flexible scheduling was one of the top reasons employees choose to work for a company. It also supports higher morale and less turnover. First, consider your business needs. 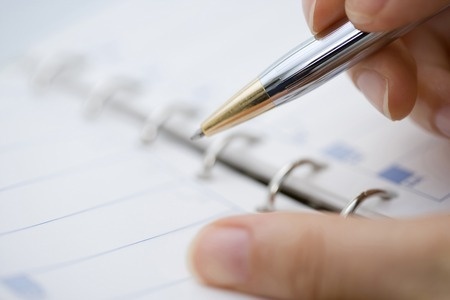 Every business is different when it comes to scheduling requirements. Retailers and other businesses with employees who interface directly with customers may need to adhere to strict business hours. Others may have more flexibility, such as just needing workers to perform a certain number of hours per week—but timing of those hours is less important. Before designing a flexible arrangement, consider your logistical needs and look for opportunities to offer more flexibility in how your employees work. Think outside the box. Even if you can’t allow your employees to work from home twice a week or design their own work schedules, consider ways to make your workplace more accommodating to the various needs of your workers. There are many ways to design greater flexibility into your workplace. Some companies allow employees to work from home regularly, while others may allow it only on an as-needed basis. Others offer “summer hours”—letting employees leave early on Fridays—or “vacation day purchase” programs that let employees pay for more days off. Some employees may be able to work four-day workweeks, putting in four 10-hour shifts. Others are more casual, simply allowing employees to take afternoons off or leave work early occasionally to take care of personal matters. Consider how to make your employees’ lives easier by supporting their work-life balance. Be fair. Make sure your flexible-scheduling policy is fair and available to all employees, so there are no feelings of resentment or concerns over favoritism. And keep in mind that both men and women likely value and can benefit from more-flexible work arrangements. Fairness does not necessarily mean all employees have to have the same ability to determine their own schedule—as that may not be feasible. But it does mean providing some form of flexibility to all employees. Companies can sometimes custom-design schedules around employees’ needs and preferences. But it’s important to make sure your employees feel like they are being treated equitably and getting the same opportunities as their coworkers. Research has found that employees at companies that provide them with more flexibility around their work arrangement and scheduling report feeling more engaged and happier with their jobs, healthier, more productive, and less likely to leave. Taken together, these are good reasons to consider how to accommodate others while ensuring the work gets done. Hello it’s me, I am also visiting this web page on a regular basis, this web page is truly pleasant and the viewers are really sharing pleasant thoughts. It¦s really a cool and helpful piece of information. I am glad that you shared this helpful info with us. Please keep us up to date like this. Thank you for sharing. Hello very cool site!! Guy .. Excellent .. Superb .. I’ll bookmark your site and take the feeds also…I’m satisfied to search out so many useful info right here within the publish, we want develop more strategies on this regard, thank you for sharing. . . . . .
very nice information website , i m also glad to find this website keep sharing such a great content in future. Hello my friend! I want to say that this article is awesome, great written and come with almost all important infos. I¦d like to peer extra posts like this . I’d need to test with you here. Which is not something I often do! I take pleasure in studying a post that can make folks think. Also, thanks for allowing me to comment! Regards for this terrific post, I am glad I found this web site on yahoo.